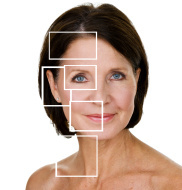 The term “Full facelift” is misleading, and can have multiple definitions. When most people refer to a “full facelift”, they just mean a traditional facelift with simultaneous rejuvenation procedures on the upper and midface, such as eyelid surgery, brow lift, or cheek implants. Generally speaking, facelifts don’t include the procedures on the upper and midface, and it actually focuses on the rejuvenation of lower face and neck and come in different sizes, small, medium, and large. The more aging a patient has sustained, the larger the facelift required. Patients with more pronounced aging need a more extensive procedure to correct that aging. We call the larger procedures “an extensive facelift”. Extensive facelifts are essentially larger face lifts. All facelifts can be performed under the local tumescent anesthesia with conscious sedation. Any type of facelift always benefits the shape of chin and neck, and the liposuction on the chin and neck will remove the extra fat deposited in these areas and creates the sharp cervicomental angle and younger looking. Almost all extensive facelifts (large facelifts) require standard neck lift, some patients with severe neck sagging may also require a platysmaplasty or submentoplasty. A more natural, tighter, longer lasting facelift will result from these procedures together. Dr. Shu addresses this muscle by tightening the platysma muscle in lateral platysmathe and center of the neck (in some cases), creating a natural appearing, but still long lasting lift. Recovery time for a face lift will last between 10-14 days. Recovery time may vary as all patients swell and bruise to different degrees. The incision of large sized lifts is made in front and back of the ear. The incision is hidden in the hair in the sideburns and behind the ear itself. So really, very little of the incisions are actually visible to people.